The evolution of the sport today leaves no passage, gully or ice fall unconsidered, but the great classics like the Mont-Blanc are still as appealing as ever. Mountaineering is not an exclusive sport and there are high-mountain routes to suit all levels of fitness and ability. 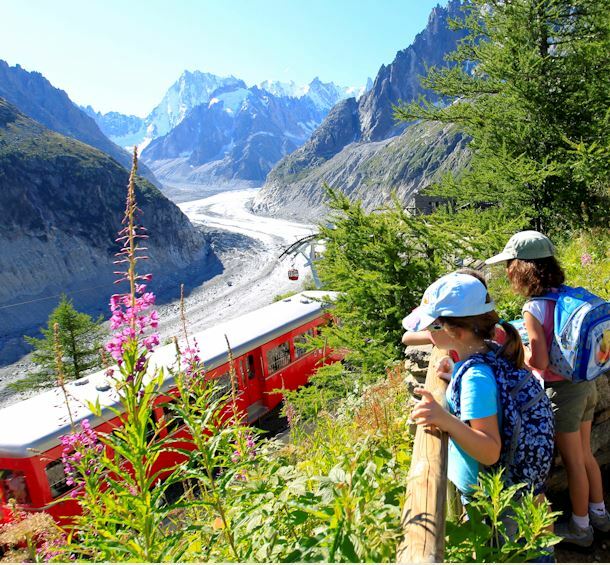 Often described as the roof of Europe, every year the Mont-Blanc Massif attracts millions of visitors who come to admire, this exceptional natural site. By the same token thousands of alpinists aspire to reach the summit of Mont-Blanc. To conquer Mont-Blanc is a dream shared by many passionate climbers. A dream within the realms of reality as long as one does not underestimate the hidden difficulties on this legendary mountain. Discover Mont Blanc climbing at the website dedicated to it. L'Office de Haute Montagne and the Montain Risk Center: indispensable for preparing your trip. Chamonix, the world capital of Skiing and Alpine sports!